What is a Multi-Level Shuttle System? Navette®, Multi-Level Shuttle, is highly dynamic goods-to-person solution, in which storage, buffering and individual sequencing can be performed in a single system. Retrievals are prepared for loading exclusively for the relevant connected picking and shipping locations, without bundling and distribution via a downstream conveying system. 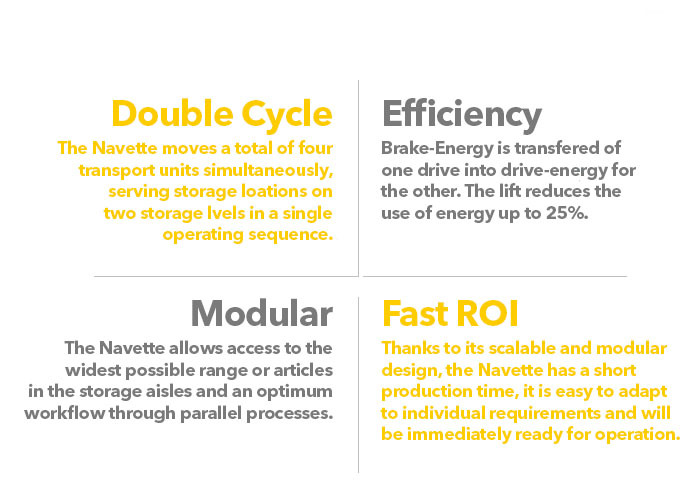 In one load cycle, the Navette moves a total of four transport units simultaneously, serving storage locations on two storage levels in a single operating sequence. So, unlike single-level shuttles, the Navette is able to operate in genuine double cycles. 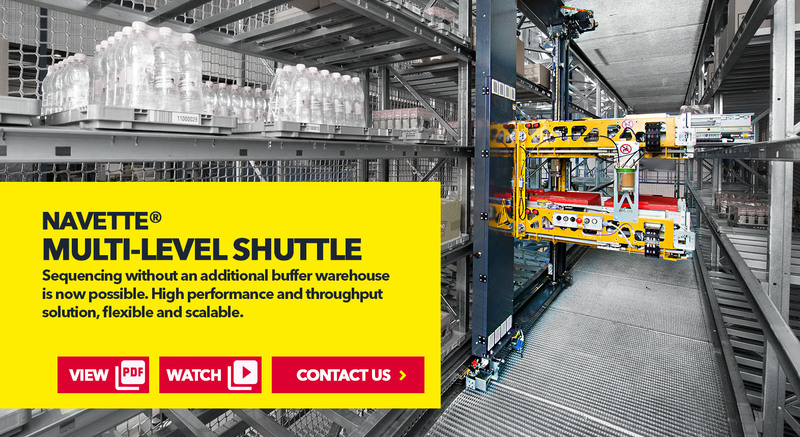 The multi-level shuttle can store and retrieve simultaneously in just one positioning process. 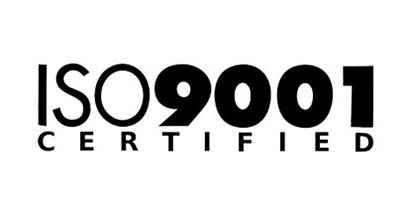 This minimizes travel times, doubles process efficiency, and reduces the need for ABC product classification. Combined with the 3D-MATRIX Solution®, previously inconceivable levels of performance are made a reality. 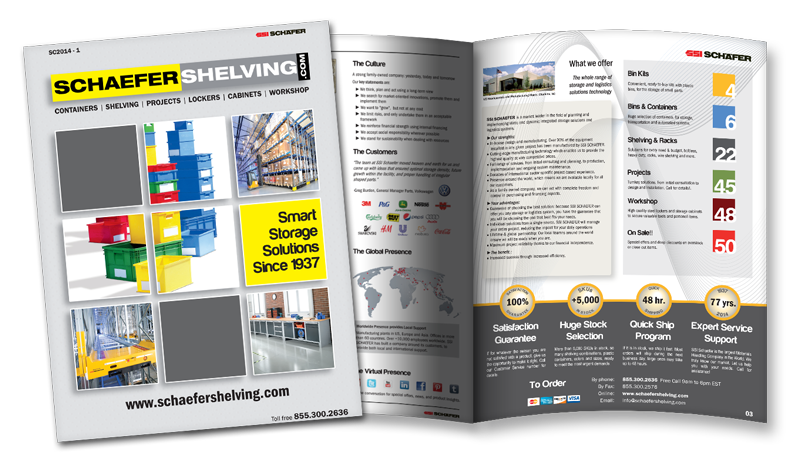 The Navette® allows access to the widest possible range of articles in the storage aisles and an optimum workflow through parallel processes. System solutions based on the Navette can be precisely tailored to the order volume, the required throughput and the individual article structure, and feature a high degree of scalability both at system level and in the overall design. Navette® lifts in these solutions act as a link between the conveying system and the individual Navette travel levels. The positioning and number of lifts in the aisle is entirely at the user’s discretion. Watch SSI SCHAEFER NAVETTE® Multi-Level Shuttle in action! Navette® is integrated into the steel framework of the mini-load aisles. The multi-level shuttle is guided by travel and support rails and operates as a single component, serving up to eight storage levels –two of them actually in parallel. 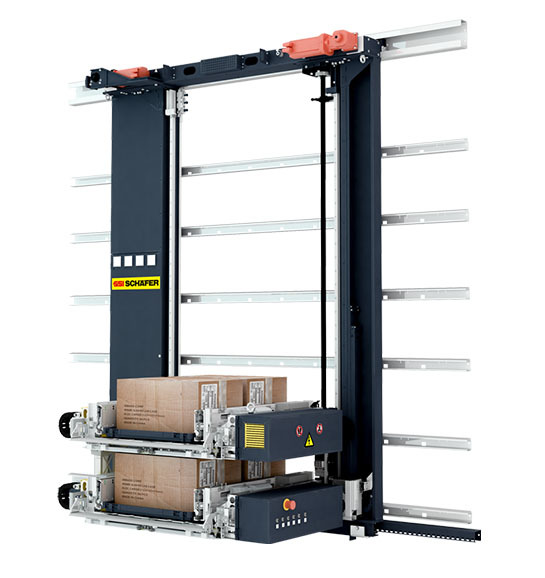 It is equipped with two load handling units (LHUs), such as carton grabs, arranged one above the other. Their distance from one another corresponds to the distance between two rack levels. Each LHU can transport two trays, totes or cartons. The scalable, multi-level shuttle increases efficiency in the storage and picking of trays, totes, or cartons in automated warehouses. 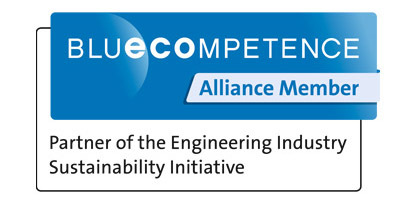 The shuttle, which can be scaled precisely to the customer's requirements, and the overall system, represents an innovative leap in design and technology. 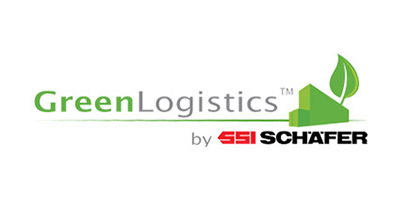 SSI SCHAEFER NAVETTE® incorporate the latest innovations in energy efficient technology. The Kinetic Energy Recovery System feeds some of the energy dissipated during the braking process of the crane back into the grid. The software control adjusts the crane acceleration and speed required to meet the throughput and material flow demand. This process reduces energy consumption and materials stress, decreasing abrasion and extending the life of all the components. Direct current power pool of drive controls and energy-optimized overlapping of movements in order to transfer brake-energy of one drive into drive-energy for the other. Accompanying balance weights for the lift reduce the use of energy up to 25%. The multi-level shuttle can be used as a high performance miniload with an elevator on the end of an aisle or as a high performance carton/tote machine with multiple elevators on the side as part of a 3D-MATRIX Solution®.